Probably each of us has ever been unhappy with a purchased game and wanted to complain to its developers, but either you didn’t have such an opportunity, or there wasn’t good service for this. 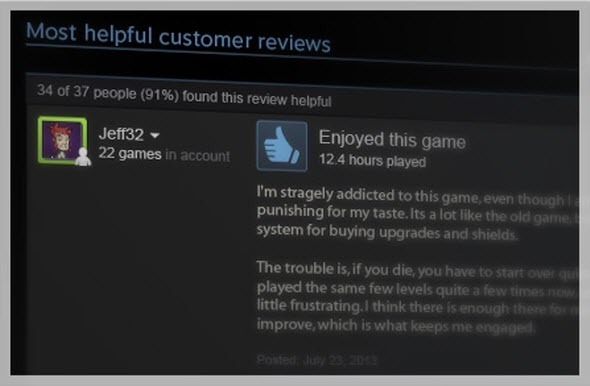 But Valve has decided to eliminate this problem and today has launched an interesting social function, which will not only improve the search of games in Steam store, but it will also give users the opportunity to write their own reviews of the games they have already tested in Steam Community. This service, or an opportunity if you wish, is called "Steam Reviews". Thanks to it, you are able to post both positive and negative reviews about the game (or games) you played, and it allows other users of Steam Community and store to understand, whether to buy this or that game or not. The games’ developers will be able to reply to your review, but the most interesting thing here that no one (apart from the moderators, of course) will be able to remove your negative feedback. The maximum that the players or the developers are able to make with these reviews is to mark them with a certain color, signaling that this feedback is offensive or inappropriate in some way. Now "Steam Reviews" functionality is in beta testing, but we hope that it will not last long and soon we'll be able to try this service. 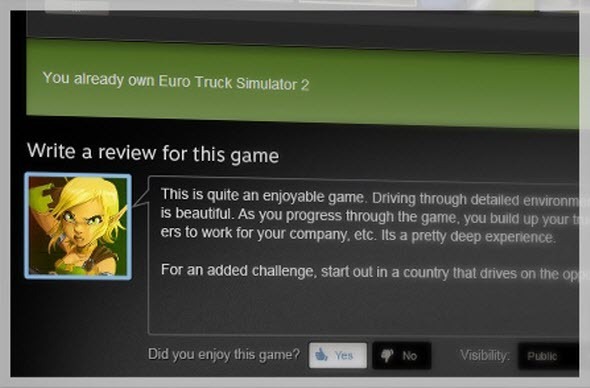 What do you think about "Steam Reviews"? Are you interested in it? Your answers can be left at the bottom of the page.